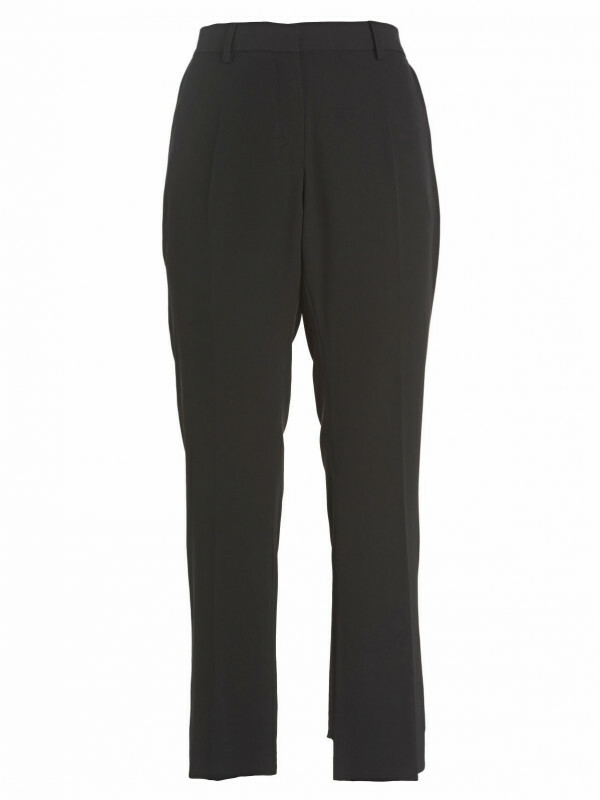 Slightly flared trousers in solid color stretch fabric. Classic cut with a surprising asymmetric detail at hem. High-low for a cut-out effect. 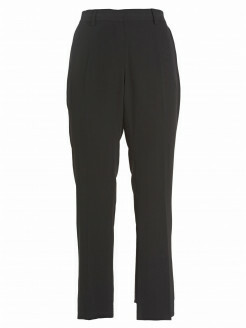 Side pockets, belt loops and ironed pleat. A passe-partout for elegant and daily-chic outfits.